This model is 175 cm and wears a size S/P. Their chest measures 81 cm and the waist 69 cm. THIS PRODUCT IS NOW OFFERED IN PLUS SIZE AND SHORT INSEAM OPTIONS. PLEASE SEE THE SIZE CHART FOR MORE INFORMATION. 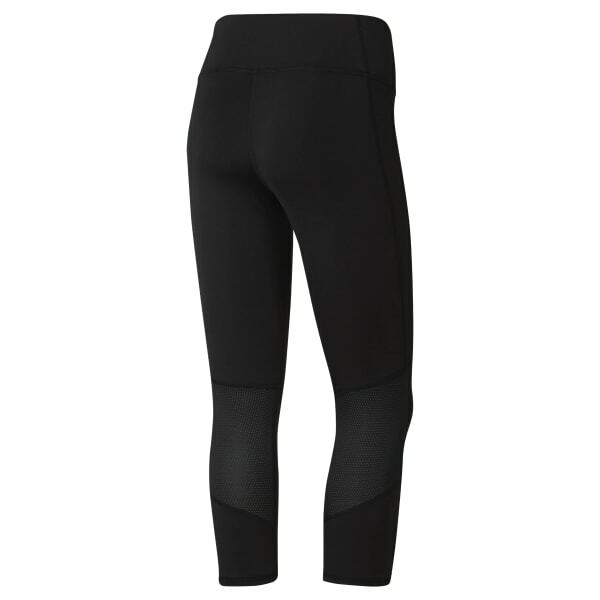 Made to cool off cardio sessions, these cropped, three-quarter length women's leggings cover your walks, jogs, and sprints. Speedwick technology wicks moisture. The waistband and drawcord help keep the fit on track, and mesh at key sweat zones assists with the breathable feel.